See us at Books and Boutiques April 29th! Click image below for more information…. 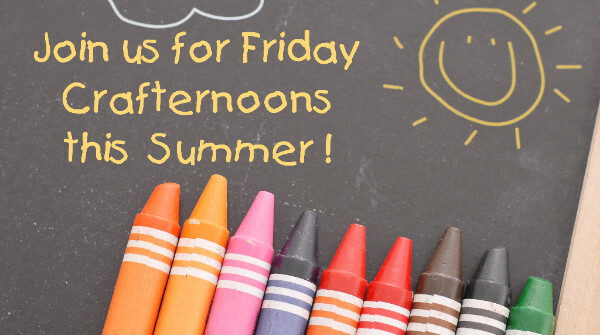 Choose from our packed list of classes and activities! Planning summer activities for your whole gang can be quite the challenge. But, we’re here to help! Get your craft on with our Create It, Make It, Take It Classes and Friday Crafternoons. Or what about something fishy? Announcing Mermaid Camp in the Rainbow Room! No landlubbers allowed for this special week of shell-a-bration! Sign Up for Summer Activity Classes! 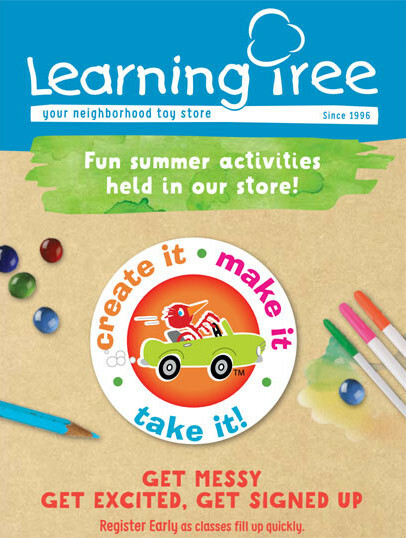 We’ll open the downstairs Rainbow Room at our Corinth location from 2:00pm – 3:30pm for walk-in craft-sessions. Come when you want during the session, pick your project and decide how long you stay! Great for families with different ages and stages. $10 per project. No sign-up necessary. Please call and let us know if you have a group larger than three kiddos so we can plan ahead! Mermaid crafts, sing-a-longs, games, activities and snacks. Take-home treasures! All things ocean for the older, more sophisticated mermaid! Mermaid crafts, sea-glass jewelry making, games, activities and snacks. Save the date for our 8th Annual Corinth Square Learning Tree Kid’s Flea Market!